The so-called "Wiener Kreis" or "Vienna Circle" was a group of philosophers that met in the years following 1922. It was led and co-ordinated by Moritz Schlick and meetings were held on a weekly basis. The philosophical output of the circle was published in a journal and became known for what is called "Logic Empiricism" or "Logic Positivism". 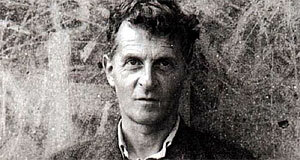 The circle was in exchange with Ludwig Wittgenstein (see pic above), with whom it met in 1925 and 1926. Wittgenstein and the Wiener Kreis influenced each other, although the extent of this exchange was long overestimated according to modern interpretations. Earlier and more direct influenced came from Bertrand Russel (Wittgensteins mentor and friend), George Edward Moore, David Hilbert, Hentri Poincare, Albert Einstein and his newly discovered laws of relativity, Karl Popper and Gottlob Frege. The most famous members of the Wiener Kreis were Rudolf Carnap, Otto Neurath, Herbert Feigl, Philip Frank, Friedrich Waismann and Hans Hahn. Occasional visitors included outstanding figures of Vienna′s 1920ies intelligentsia, such as Hans Reichenbach, Kurt Gödl, Carl Gustav Hempel or Alfred Tarski. Alfred Jules Ayer spread the publications of the Vienna Circle in Great Britain. Karl Popper never attended a meeting in person, but he referred to his approach to empiricism as a "Critical Rationalism" to distinguish it from the thoughts of the Vienna Circle. The meetings ended in 1936, when Moritz Schlick was assassinated by Hans Nelböck, a former student of his. In the following years, many members of the Vienna Circle left Austria, preceding the Anschluss and WWII. The circle′s influence on 20th century philosophy is vast, though, particularly for philosophical concepts underlying scientific enquiry. In 1991, the "Institut Wiener Kreis" was founded, which does research on the Vienna Circle and preserves its heritage. In theory, they also continue the development of the circle′s thoughts and philosophy.